The subiculum receives a direct projection from the perirhinal cortex, a cortical area whose neurons are responsive to the novelty or familiarity of objects encountered in the environment. 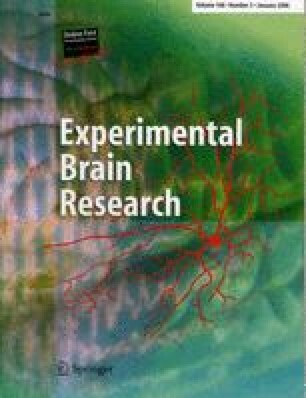 We made recordings of subicular neuronal activity while male adult Wistar rats conducted object exploration tasks, which have been previously shown to cause changes in the exploratory behaviour of rats and which are dependent upon the integrity of structures within the hippocampal formation. In the current study, the exploratory behaviour of the rats was also modified in a manner consistent with them perceiving the novelty and familiarity of the objects used as part of the apparatus. Subicular cell firing, however, appeared to correlate best not with object novelty or familiarity, but with the concurrent location and speed of the rats within the task environment. These findings are discussed in light of previously reported ‘object-responsive’ subicular firing correlates. We thank Sean Commins (Dept. of Psychology, Trinity College, Ireland) and John Gigg (Optometry and Neuroscience, UMIST, UK) for helpful comments. The Wellcome Trust supported this work.